Carolina Herrera is a Venezuelan-American fashion designer who is well-known for her exceptional personal style and for dressing First Ladies from the likes of Jacqueline Onassis to even Michelle Obama! Even The New York Times cited her designs as “elegant and worldly without ever being fussy”. So the first thing that came to my mind when I heard about the relaunch of the CH fragrances was a touch of class and a whole lot of elegance. Carolina Herrera de Baez teams up as a dynamic duo with Mario Testino, to create the new CH Carolina Herrera fragrance campaign. As the world’s leading fashion photographer Testino, shoots the new brand campaign of Carolina Herrera, overarching Fashion, Fragrances and accessories. His keen eye and unique take on the fashion world is evident in every shot he does. The duo worked closely together on the creative of the new fragrance, where throughout the process of creation to see their vision come to fruition – “A story of seduction” which stars Lily Aldrige! With his master’s eye, captures the successful couple in their glamorous world, filled with luxury and elegance. The fragrances are represented by the two international established models Justice Joslin and Lily Aldridge. Justice Joslin is the perfect seducer, impossible to resist. The CH Men Privé is a refined and intense masculine fragrance which is impossible to resist! It is the perfect complement for a worldly man who can easily impress on his own, but with CH Men Privé, the seduction is complete. While who is the CH Carolina Herrera woman? She is a vision of femininity and style. A modern woman who is used to the finer things in life. Chic and modern, she knows exactly what to wear and how to wear it. Others marvel at her innate sense of elegance, but to her it comes easily. Lily Aldridge is the woman who has everything, effortless elegance and innate confidence. Together they find each other and discover the true essence of life. Two lives are now one. Red and black: passion and elegance, an impeccable style and sense for luxury. The two complement each other perfectly and represent the values of the brand in every shot. What’s extra special or different this time round is the CH Men Privé. It is the new masculine fragrance to the CH Carolina Herrera family. It is warm and luxurious with notes of whiskey and leather provocative, modern and rich. 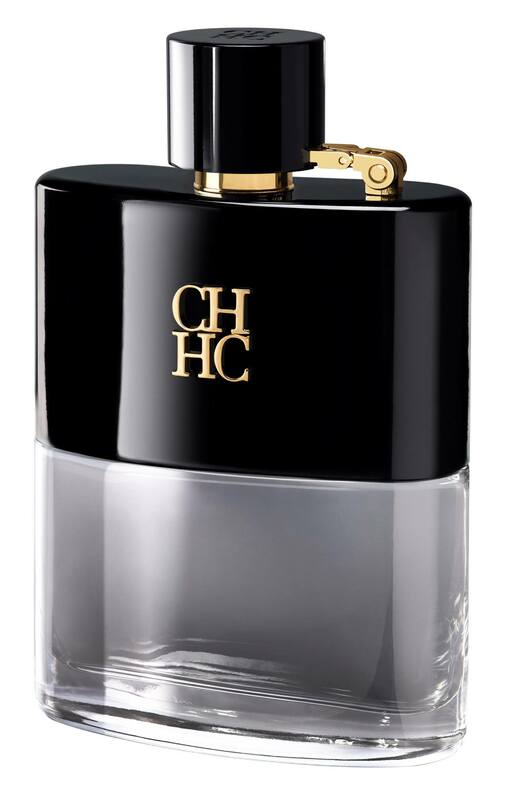 With its polished black lacquered bottle, the sleek look of CH Men Privé was inspired by a handsome and classic flask. Provocative hints of gold add elegance, making the bottle a powerful statement of sophistication and masculinity. CH Men Privé perfectly embodies the Carolina Herrera man who is ready to imbue passion into everything he does. 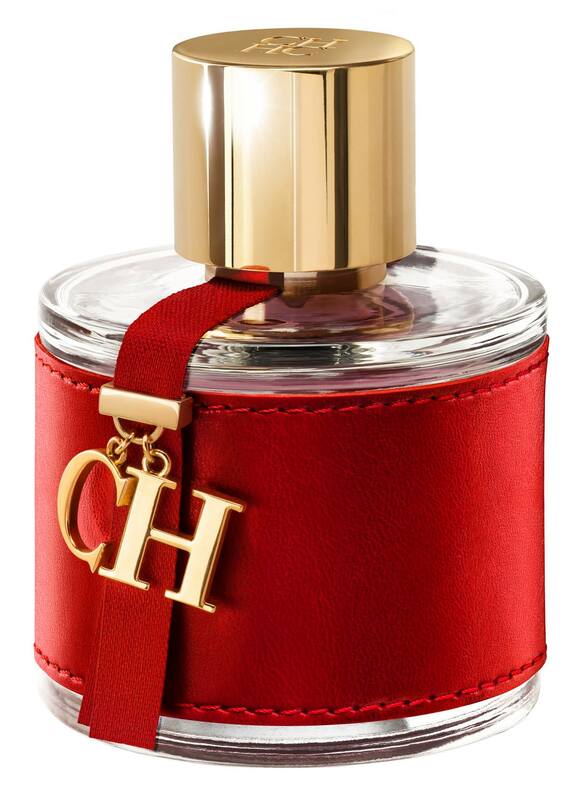 The female fragrance of CH Carolina Herrera has a new gold packaging with red casing, and a delicate CH chain hanging from the bottle like one would expect from a fine piece of jewelry or a luxurious handbag. It is feminine, elegant and slightly elusive. A blend of citrus and fruits followed by notes of rose, jasmine, sandalwood and transparent musk. Like the CH Carolina Herrera woman, the scent is effortlessly chic and modern. The spot of the campaign was shot in New York City by the brilliant Peter Glanz, whose impressive talent with the camera enabled to capture the essence of the art of seduction the best way possible. In the city that never sleeps, something new has awoken the senses. On the Upper East Side, she walked into his life and he into hers. A story of seduction too powerful to ignore. Here, the story begins. Perhaps it is the way he fixes his gaze just so or his masculine ways, but instantly she is hooked. Raised with impeccable manners and an urbane sense of fashion, he is worldly and sophisticated. His wit, his classic good looks combined with the fact he knows how to wear a tuxedo with ease all make her realize this is the man she has been looking for. After all, a true gentleman never goes out of style. He takes her hand, they approach the dance floor and as he gently kisses her ear, they laugh. One thing is clear. He has met his match. An innate sense of style, a polished look of Upper East Side elegance combined with a thoroughly modern attitude. She does it all in a seemingly effortless way. Confident and self-assured, her inspiring elegance attracts her to many. Slightly elusive, others want to emulate her. As she glances back at herself in the mirror, admiring her cascading red gown, she smiles. True to his sense of self, he knows the most modern ride of all is a classic sports car. Thanks to his upbringing, he is a lover of the finer things in life. His classic car is perfect for a balmy summer evening in the city. Dressed in his tuxedo he goes to pick up his love. Adjusting his cufflinks one last time, he puts his hand on the gear shift and is ready for whatever the night ahead may bring. Opposites attract. Yet together the pairing seems so right. Seemingly different, but together they are complete. All eyes turn as they walk into the room. Who can help but stare? With their sense of modern style mixed with timeless elegance, they are a magnetic couple. Glamour comes easily to the duo and their joy for life is infectious. For all who see them, their chemistry is clear. Together, they are unstoppable. As the night draws to a close, he sweeps his arms around her and pulls her close. With the city lights twinkling in the distance, she smiles. Each has found what they have been looking for. Loving being in his embrace, the chemistry between them is intense. You can sense between the polished couple there is fire underneath. The film is directed by Peter Glanz. The CH Men Privé film is one of seduction and excitement. Set on the salubrious Upper East Side in New York City, the stylish seducer is the main protagonist Justice Joslin. A worldly man, he is in control of everything in life, except for one thing – his passion for the woman, Lily Aldridge, who has intoxicated him. She waits in anticipation at her equally stylish Upper East Side townhome. Glancing out the window, careful she does not spot her spying thereby giving the game away of how interested she really is. As they spend the night out in Manhattan, the electricity between the dynamic couple is obvious to all who see them. As they dance together seductively, the night draws to a close. With the New York City lights twinkling beneath them, they embrace on an elegant chaise lounge. As she draws in closer to him, his scent of CH Men Privé is impossible for her to resist! With sensuality and an evocative allure, the worlds of CH Men Privé is an intense yet gentlemanly interpretation of sensuality. It’s a scent for sophisticated noses. It is the perfect balance of everything a classy man needs in wake with her. Something warm, intoxicating, exciting, distinctive and yet charming that all and all induces a woman to her passion. It’s boozy, spicy fresh opening of whiskey, sage and grapefruit is balanced by the heart notes of lavender and cardamom, which swirls around and adds richness to an opulent base of leather, tonka beans and benzoin that gives the fragrance an ultra glamorous signature! While the CH Carolina Herrera pairs with it really well and forms an unmistakable duo. Classic and timeless, yet modern and intoxicating at the same time, they are two fragrances which define elegance, luxury and passion. A seduction on every level. CH Men Privé is smoky and rich, with warm and spicy undertones. The CH Men Privé man has irresistible charm and he knows how to make an immediate impression. It is his impeccable taste which sets him apart from the rest. With CH Men Privé, warm and luxurious notes of whiskey and leather are highlighted. Sumptuous, elegant and slightly daring, its allure is unmissable. Initial notes of fresh and zesty citrus in the form of grapefruit follow, punctuated by hints of frozen lavender, cardamom, sage and red thyme. Finally, the scent of benzoin and the elusive tonka bean prevail. Like the CH Privé man, it is timeless yet modern with a masculine allure impossible to resist. One look at the bottle design for both fragrances tells the story. For CH Men Privé, the sleek bottle is inspired by an elegant flask. With a black lacquered finish and hints of warm gold, the design is inspired by the CH Privé man – chic, masculine and strong. Enter the CH Carolina Herrera feminine world. Effortless in her elegance, her glamour is one which makes all eyes turn the minute she walks into a room. Her scent and her innate sense of style tell her story without saying anything at all. An Upper East Side woman, she is confident and self assured. Although many try, few can truly capture her heart. 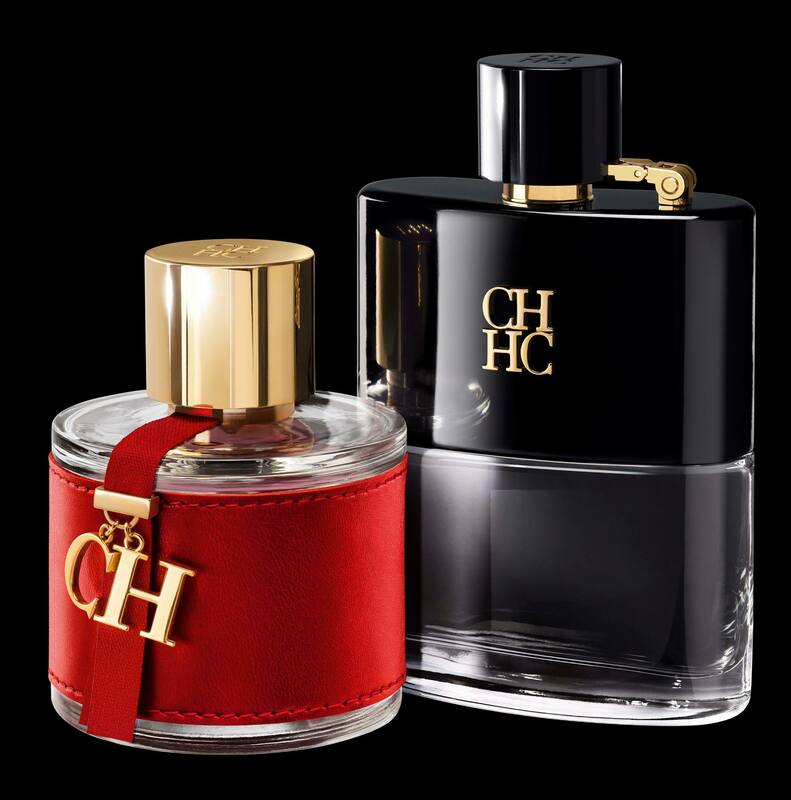 CH Carolina Herrera has top notes of bergamot, grapefruit and lemons, followed by rose, jasmine and orange blossom. The final notes are of cedar wood, lingering with praline and patchouli. 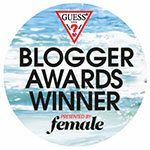 With a hint of soft leather and woody undertones combined with musk, the result is unmistakably feminine. For the classic, elegant and seductive CH Carolina Herrera fragrance, its vibrant red color reveals the passion which speaks of the woman who wears it. Like a fine piece of jewelry, the bottle is immediately eye-catching and captivating. The seductive red bottle is accented by a gold bottle stopper. Elegant and impossible to resist. Together, the CH Privé man and CH Carolina Herrera woman combine the best of both worlds. He with his passion and presence, her with her grace and modern ease. Email the above to me at stephanie@myhotbloggers.com together with your full name and contact number by 31 January 2016. Winners will be contacted in February 2016. Uncollected prizes will be forfeited. Judges decision is final and no correspondence will be entertained.